If you’re still getting over the news that Princeton’s USPS post office is about to move out of the historic home on Palmer Square, then get ready for another surprise. 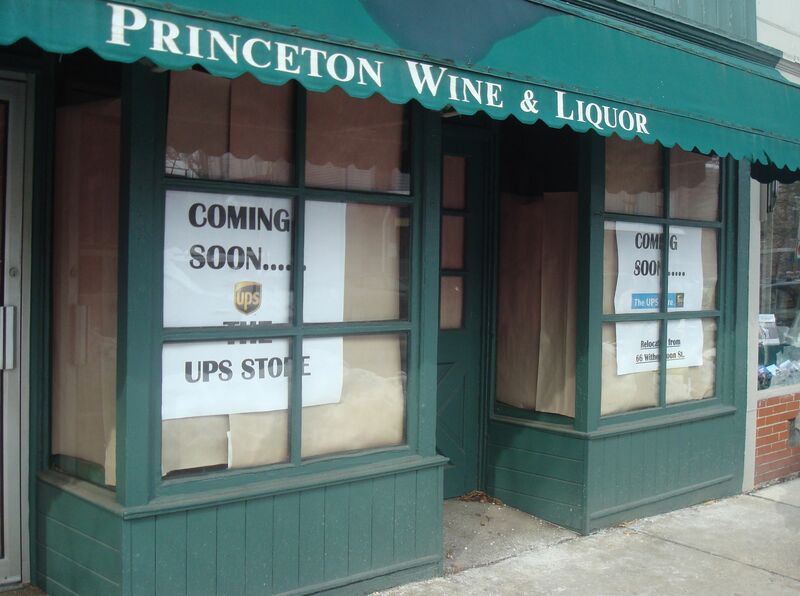 The United Parcel Service outlet on Witherspoon Street, opposite the public library, is also downsizing and is set to move to a new location on Nassau Street.Last year, Princeton Wine and Liquor, which had operated at 174 Nassau Street since 1975, closed under contentious circumstances, alleging that their new landlord had refused to renew their lease. The site has been empty ever since the liquor store moved out. Now, signs have gone up advertising that the UPS Store will relocate there. There’s no date yet, but it is going to happen ‘within the next two months’. 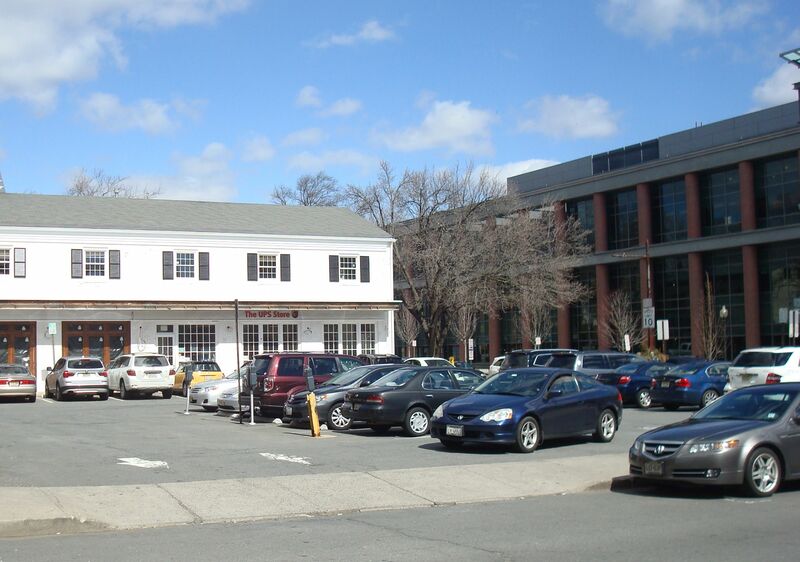 It’s a great site, in the heart of walkable downtown Princeton, and with easy access to the Spring Street garage for customers arriving by car. The publicly-funded, multi-level Spring Street garage offers 30 mins free parking at all times- ideal for UPS customers. The arrival of the UPS Store is part of a remarkable turnover of businesses on Princeton’s main street, which will also welcome a new coffee shop and a new organic juice bar later this year. The relocation of the UPS Store raises questions about what will happen at its former site. The Grigg’s Corner site is currently under-utilized, and in 2009, options for redevelopment were discussed by Princeton Future, in a session chaired by local architect Ron Berlin. Since then, two important things have happened in the area: the opening of Mistral, a great new restaurant from the group which also owns Elements, and the completion of the Residences At Palmer Square. It would be great to see the restaurant expand, or see the site put to another use that adds value to the downtown. What would you like to see appear at the old UPS Store site on Witherspoon Street? Let us know in the comments section below. This entry was posted in Downtown Vibrancy, Placemaking, Princeton and tagged downtown, planning, Princeton, shopping. Bookmark the permalink.